With its height of over 220 meters is the tallest pyramid in the World. It has regular pyramid geometry with three preserved sides: north, east and west. It is coated by rectangular blocks. According to the Institutes for materials from Bosnia-Herzegovina (2006-2008) and Politecnico di Torino from Italy (2009.) blocks are made from the best quality concrete material superior to modern concretes. According to the State Institute for Geodesy (2006) northern side perfectly matches the Cosmic North with the error of less than one degree. Slope of the pyramid sides to the base is at the 45 degrees. 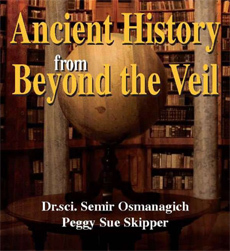 German geophysicists confirmed in 2007 existence of the inner passageways using geo-radar instruments. 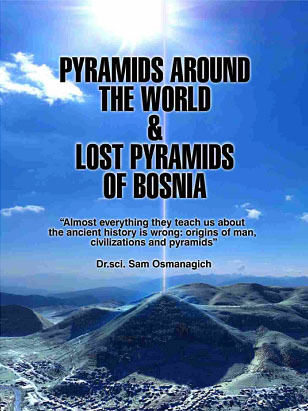 Croatian physicists detected (2010) existence of the energy beam coming through the top of the pyramid with the radius of 4,5 meters. Italian and Finish experts detected (2011) ultrasound phenomenon on the rop of the pyramid as well. Shadow of the Bosnian Pyramid of the Sun covers Bosnian Pyramid of the Moon during the summer months just before the sunset showing clear astronomical relationship between two pyramids. This pyramid is covered by soil and vegetation like hundreds pyramids in China, Mexico or Guatemala. According to the Federal Institute of Pedology layers of soil that cover the pyramid is approx. 12.000 years old. It makes this pyramid oldest pyramid on the Planet. Tens of thousands of tourists from all over the World are attracted by the pyramid discovery and its energy and spiritual properties.